Automobiles increase the mobility of their users. However, their maneuverability is pushed to the limit by cramped inner city conditions. Those who need to park their vehicles frequently, such as delivery services and mobile care providers, lose a lot of working time searching for and then getting into parking spaces. 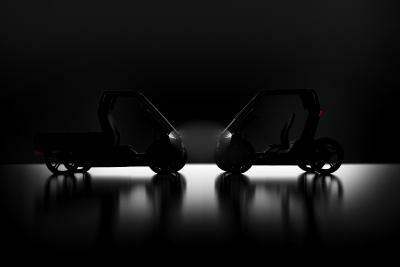 New chassis types with wheels that can be steered individually and electric drives make it possible to increase maneuverability and therefore efficiency, particularly in flowing urban traffic. The OmniSteer project, which is funded by Germany’s Federal Ministry of Education and Research, is aimed at researching suitable concepts and prototypes by 2018 and has a budget of € 3.4 million. “The increasing electrification and automation of vehicles makes it possible to offer users innovative driving functions”, explain project managers Dr. Marcel Mayer from Schaeffler and Dr. Michael Frey from the Karlsruhe Institute of Technology (KIT). 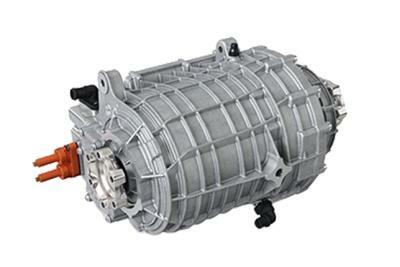 “The added value offered by electric drives compared to internal combustion engines is significant, because we can directly integrate electric drives into each wheel”. Together with innovative wheel suspension types that allow a wider range of steering motion on the front and rear axle, suitable distance and lane guidance systems (highly-integrated lateral and transverse guidance systems) are also being developed that will significantly increase maneuverability. 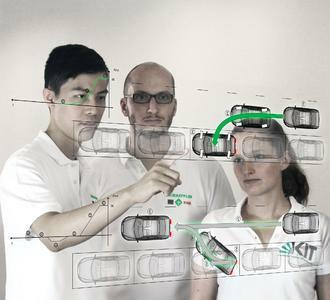 “It is possible to switch seamlessly between front-wheel, rear-wheel, and all-wheel steering depending on the situation”, says Mayer, who is in charge of Schaeffler’s “Automated Driving” work group and is carrying out research at the KIT as part of the SHARE (Schaeffler Hub for Automotive Research in E-Mobility) research collaboration. Driving maneuvers in restricted spaces – such as turning corners and changing lanes in a traffic jam or when approaching road works – will become more efficient with OmniSteer in terms of both time and energy, and this will improve the way in which lanes are utilized. 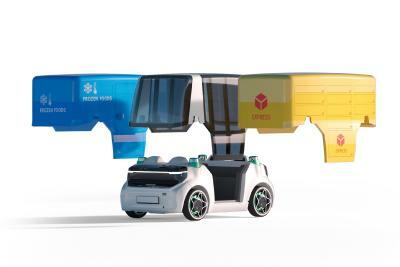 Delivery services will also enjoy an enormous benefit, since it will even be possible to continuously pull into parking spaces at a right angle to the direction of the traffic, which in turn will make it possible for even the smallest parking spaces to be used and more rapidly allow traffic to continue moving. “These driving functions therefore directly increase safety, comfort, and energy efficiency as well as also improving the utilization of space and the flow of traffic in cities in the long term”, explains Dr. Frey from the KIT’s institute of vehicle systems engineering. As part of the OmniSteer project, a scaled-down demonstration vehicle with a lateral and transverse guidance system capable of performing orthogonal, multi-directional, and non-linear driving and steering maneuvers is being developed. These three features allow innovative driving functions and thus make it possible to utilize the full potential of automation in electrically-driven vehicles. The vehicle will use sensors to identify its surroundings, calculate the best possible path of travel, and then independently perform complex maneuvers. A specially-developed display and operating unit will allow the driver to select and keep track of the driving functions and to intervene if necessary. The FZI Research Center for Information Technology is contributing maneuver and trajectory planning processes to the project, which select the best possible chassis configuration based on the situation. The OmniSteer project is set to last three years. The “Omni” prefix (from the Latin word for “all” or “whole”) firstly represents the holistic approach to steering. Additionally, however, it is also an acronym for Orthogonal (maneuvering at a right angle to the original direction of travel), Multi-directional (different travel paths are possible), and Non-linear (the position of the steering wheel is decoupled from the steering angle). 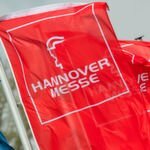 The project partners are Schaeffler, PARAVAN, and HELLA, as well as researchers from the KIT and its Information Technology Research Center. The collaborative project is also receiving support from associated partners: DEKRA, Custom Interactions, and Cluster Electric Mobility South-West (ESW), which is coordinated by e-mobil BW, the innovation agency for the state of Baden-Württemberg. Around € 1.9 million of the € 3.4 million overall budget is being provided by the Federal Ministry of Education and Research as part of its “e-MOBILIZE - Intelligent and Efficient Electric Mobility for the Future” program. Karlsruhe Institute of Technology KIT – The Research University in the Helmholtz Association – pools its three core tasks of research, higher education, and innovation in a mission. With about 9,400 employees and 25,000 students, KIT is one of the big institutions of research and higher education in natural sciences and engineering in Europe. The KIT Mobility Systems Center pools the vast competencies and resources in the field of ground-based traffic to develop multi-disciplinary solutions for tomorrow’s mobility, in particular the transportation of passengers and goods. The center focuses not only on technical developments but also on the interaction of man, vehicle and infrastructure. The activities of the KIT Mobility Systems Center are organized in six topics: Drive systems, Energy storage systems, Chassis and body, Build-up and manipulation systems, Vehicle guidance, traffic routing, and logistics, and also Infrastructure and society. Paravan GmbH is the world leader in innovative automobile conversions for drivers with severe disabilities. Since 1998, Paravan founder Roland Arnold has developed new and innovative products in the area of handicapped mobility. Approximately 150 employees individually develop and produce custom adaptive driving products. These include automobile conversions, power wheelchairs, exercise training machines, seating solutions, ramp systems, wheelchair loading systems and hand devices. Paravan’s drive-by-wire system is road certified according to ISO 262 ASIL D and is assembled with a world class quality level IPC-A-600 Class C standard. Worldwide, Paravan has accumulated over 120 million kilometers of experience during the past 10 years which supports new technology for the ongoing improvement of Space Drive II. Using an active redundancy steering and gas/brake system with multiple relevant safety backups, Space Drive is now being used in vehicles world-wide. This modern technology is the cornerstone for the future of autonomous driving. The FZI Research Center for Information Technology at the Karlsruhe Institute of Technology is a non-profit institution for applied research in information technology and technology transfer. Its task is to provide businesses and public institutions with the latest research findings in information technology. It also qualifies young scientists for their career in academics or business as well as self-employment. Led by professors from different faculties, research teams at the FZI interdisciplinarily develop and prototype concepts, software, hardware and system solutions for their clients. The FZI House of Living Labs is a unique research environment for applied research. All areas of the FZI are certified according to DIN EN ISO 9001:2008. The head office of the FZI is located in Karlsruhe, Germany. A branch of the FZI is located in Berlin. Hella Aglaia Mobile Vision GmbH is an innovation-driven company with worldwide operations. A subsidiary of Hella KGaA Hueck & Co., we are an internationally leading developer of intelligent image-processing systems and sensors. We are expert developers of production-ready driver-assistance systems, automated-driving technology and electromobility. With knowledge gained from years of experience, we strive for long-term market success. DEKRA has been active in the field of safety for 90 years. Founded in 1925 in Berlin as Deutscher Kraftfahrzeug-Überwachungs-Verein e.V., it is today one of the world’s leading expert organizations. DEKRA SE is a subsidiary of DEKRA e.V. and manages the Group’s operating business. In 2015, DEKRA will generate sales totalling approximately 2.7 billion Euros. The company currently employs more than 37,000 people in more than 50 countries on all five continents. With qualified and independent expert services, they work for safety on the road, at work and at home. These services range from vehicle inspection and expert appraisals to claims services, industrial and building inspections, safety consultancy, testing and certification of products and systems, as well as training courses and temporary work. 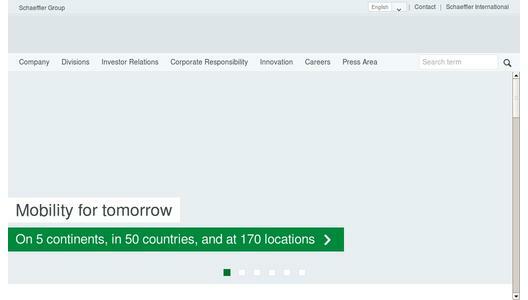 The vision for the company’s 100th birthday in 2025 is that DEKRA will be the global partner for a safe world. The vision of the usability and user experience company Custom Interactions is to simplify the interaction between man and technology as much as possible. With its interdisciplinary team of psychologists, user interface designers, engineers and software specialists Custom Interactions develops and improves user interfaces of all kinds, with a special focus on automotive user interfaces. In the centre of all development activities stands the user with his needs, goals and desires. Therefore, the experts of Custom Interactions use a wide variety of usability and user experience methods (e.g. user surveys, expert reviews, field observations, and usability and user experience tests) to identify the information needed for a successful human centred development process. Leading Edge Cluster Electric Mobility South-West. Schaeffler, KIT and FZI are partners in the Electric Mobility Cluster of Excellence Southwest (ESW), which connects over 100 stakeholders from science and economics in the region Karlsruhe – Mannheim – Stuttgart – Ulm. The cluster strategy of the ESW cluster aims to achieve intensive regional collaboration in the field of electric mobility by means of new approaches and forms of cooperation. As a result, knowledge is developed, consolidated and ultimately advantages are achieved in international competition. The Schaeffler Group is a leading global integrated automotive and industrial supplier. The company stands for the highest quality, outstanding technology, and strong innovative ability. The Schaeffler Group makes a key contribution to "Mobility for tomorrow" with high-precision components and systems in engine, transmission, and chassis applications as well as rolling and plain bearing solutions for a large number of industrial applications. The technology company generated sales of approximately EUR 12.1 billion in 2014. With around 84,000 employees, Schaeffler is one of the world's largest family companies and, with approximately 170 locations in 50 countries, has a worldwide network of manufacturing locations, research and development facilities, and sales companies.